Use a food processor or high powered blender to roughly grind the sausage. I used my Blendtec. In a large mixing bowl, break the ground chuck into small pieces with your fingertips. Add the ground andouille, salt, and pepper. Gently mix until combined. The more you handle the beef, the tougher your burgers will be. Don’t smash the mixture together, and don’t manipulate it too much with your hands. Gentle is the key. 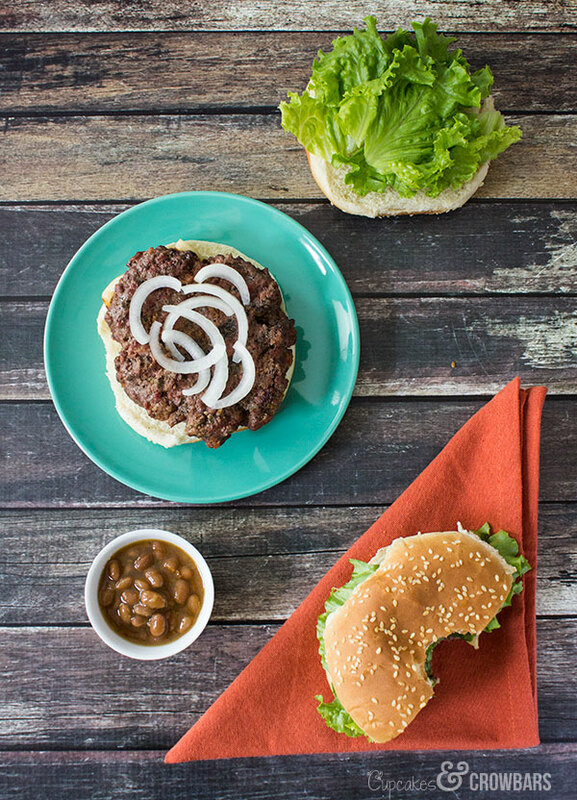 After grilling, cover the burgers and let them rest for ten minutes before serving. I have two huge cookie sheets the same size, so I collect them on one, then flip the other upside down on top of them. This is also the step where I add cheese for those who prefer. These are delicious with any peppered or spicy cheeses. 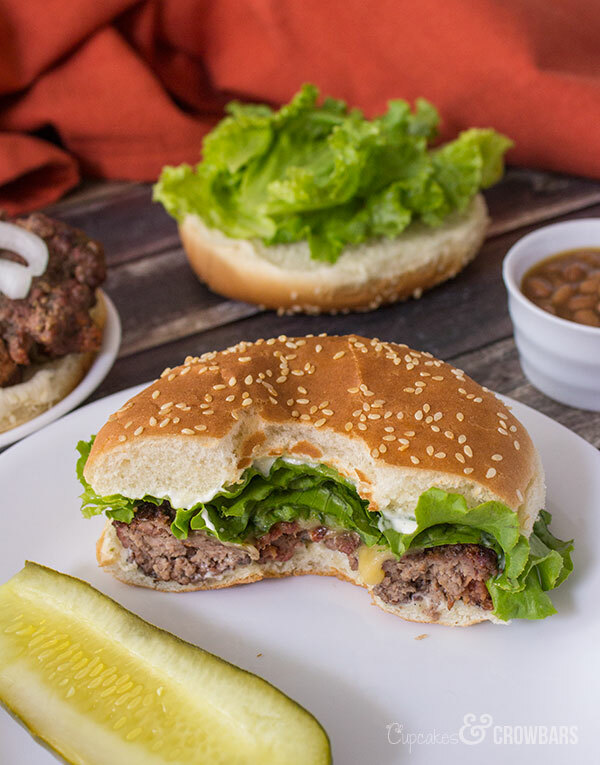 Simply lay the slices on the hot burgers and let the heat melt while they’re resting – saves a big mess on your grill, for sure! Always start with a clean, oiled, and preheated grill. This helps prevent the burgers from sticking & tearing. Chilled burgers grill much better. Refrigerate the prepared burgers until just before they go on the grill. 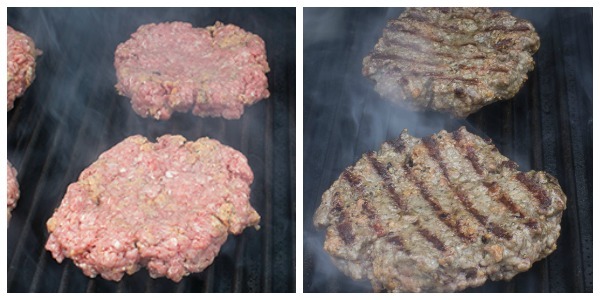 On the left, you can see how loosely pressed the burger mix is – not smashed together! On the right is after three minutes on the grill. Serve with condiments of your choice and enjoy!